Drumsticks are the seedpod of a particular tree and are widely eaten in India as well as Thailand, Cambodia and the Philippines. The roots and leaves of the tree are also eaten and, in fact, the tree is sometime known as the ‘Horseradish tree’ because the roots are said to have a similar flavor. The English name ‘drumstick’ seems to be quite widely used in India but, in Hindi, the name is ‘Saijan’ or ‘Sajan’. The vegetable is also called ‘Shinga’, ‘Sejanki ki phali’, or ‘Seeng’ and the botanical name for the tree is Moringa oleifera. Strictly speaking, these seedpods should more accurately be termed a fruit rather than a vegetable but like the tomato, it is used as a ‘vegetable’ and thus I have used that designation in this post. 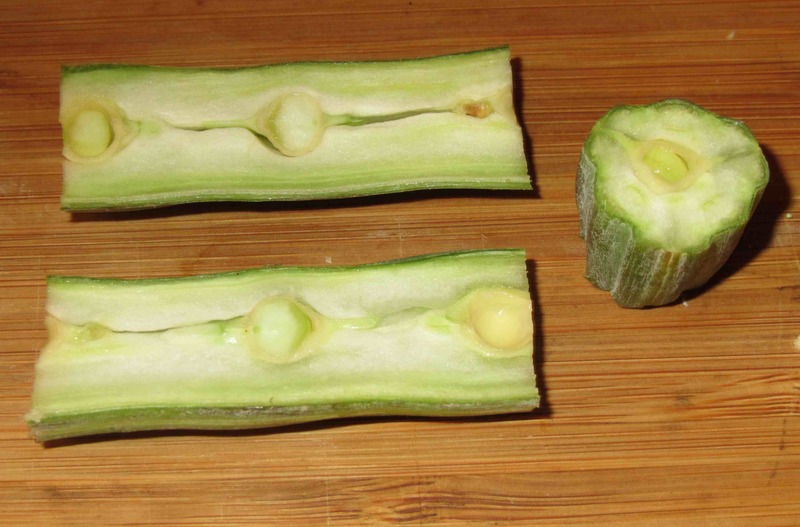 As you can see, the interior of the pod contains a whitish pulp with little seeds. It may not be apparent in my photograph but the outer skin is very thick and fibrous and, from all I can determine, would be completely inedible. A number of recipes I have seen mention that most people simply slice the drumsticks into sections of three or four inches in length, and, after they are cooked, eat them by sucking out the tender pith and then discarding the fibrous skin. One source, in fact, confidently stated that the skin is always too tough to consume no matter the age of the pods but I also came across one recipe using some (very long) juvenile ones that suggested otherwise. I saw a couple of preparations where the pith was scraped out of the pods while raw and then used as a sort of puree, but some others also suggest that peeling them before sectioning and cooking is an option. One of my cookery books gives some very complex and confusing instructions for going about this but I tried it and it seems to me that, unless you have some very thick pods to work with, there is very little left after you are done and the resultant sections are very fragile. I can only think that they would never stand up to cooking and would simply fall apart so, to my mind, this doesn’t appear to be a very practical choice. I may give it a try, if my limited supply permits, but for my first experiment, at least, I intend to cook them with the skin still intact. I actually tasted the pith and seeds whilst still raw and they were both very pleasant. The seeds were a little bit like fresh peas or the seeds inside string beans and did not have any of the bitter taste that they are reported to have as the pods age. The pith was fairly firm and the texture was rather like a cross between a very immature banana and a nice firm cantaloupe, though without any of the succulence. It was somewhat sweet to the taste, in the way that peas in the pod are faintly sweet, and there was a definite taste of cucumber and melon rind. After a second or two in the mouth, a mild peppery heat also developed that was quite pleasant. In Indian cookery, the pods are pickled, used in soups (especially varieties of Rasam) and also in many curried dishes, both dry, and more heavily sauced ‘wet’ ones. Wow-something new indeed…I’ve never heard of this but would like to give it a go…I’m down in London this week so if I have time will try to visit my favourite Asian Grocery store who have usually most of the unusual Asian fruit and vegetables and then I can cook along with you!! Fascinating – I love reading about new foods. That ‘drumstick’ interior sounds delicious raw. Maybe it would go with mint and cucumber in a salad? I love reading about all these different foods! We eat this in Bangladesh all the time. There are a lot of dishes you can make with this and all of them tasty. Mixed with some other vegetables, it shines in a dry curry or in several fish dishes. This is the first time I am learning about drumstick , I will be following your post to learn more. it is called malunggay in my country.. the fruit or the drumstick is peeled because it has this woody skin texture, and the leaves are used in soups too.. it is very easy to propagate this tree, either by a little branch or matured seeds. I always learn the coolest things in your blog. 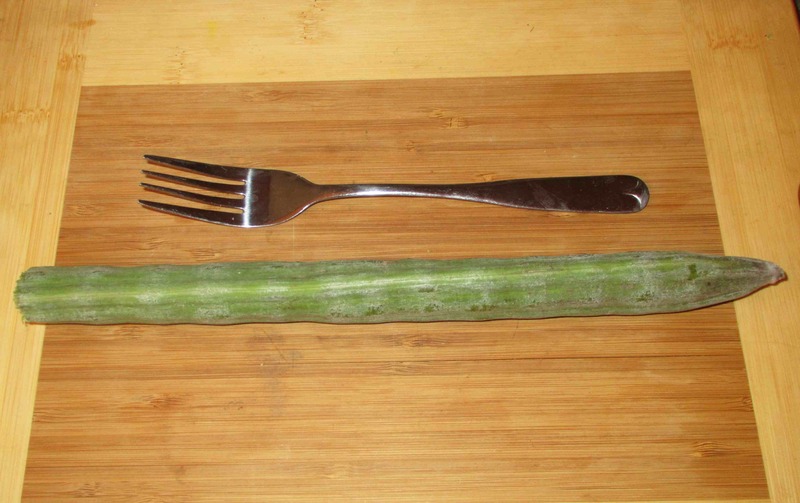 I’ve never seen this vegetable before in my life! I am having the best time following your blog and always learn something new. As a result, I have nominated you for the Sunshine Blogger’s Award. Come check out the link for more info…http://inherchucks.com/2012/06/27/an-award-and-a-giveaway/. What a fascinating post! 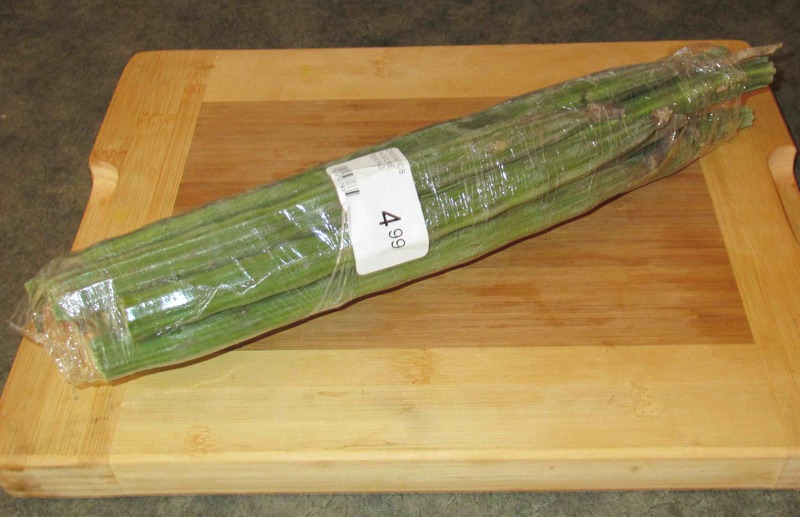 I have never seen this vegetable before and am looking forward to seeing what you will do with it! MOringa Oleifera is a lot more than a just exotic recipe. We have a farm in Florida where we produce thousands of this trees and we are very proud about it and ready to teach anybody, how to have this tree in the house and how to grow. In India special in South India the food is incomplete without this plant called drumsticks. this is very common for making hot and spicy curry. it is said that it has useful properties to keep your brain active.